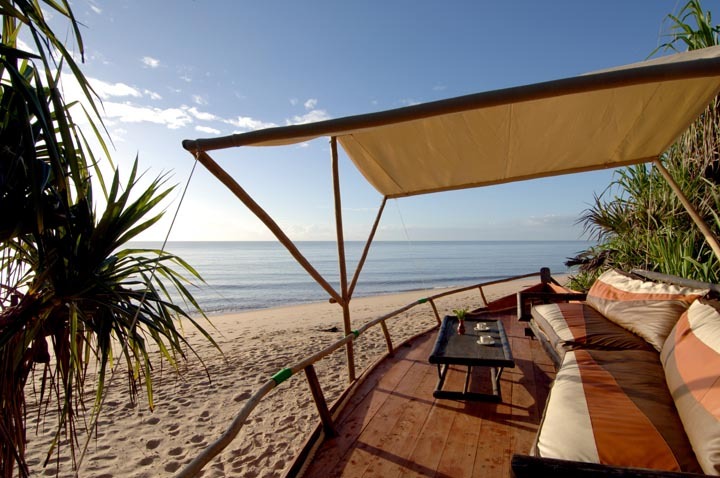 Saadani Safari Lodge: is small and intimate with 9 individuals cottages set along the beach, cooled by soft ocean breezes and shaded by Cachexia trees. Cottages are with swathes of sail cloth adorning the ceiling, large romantic Zanzibar style and locally carved furniture. Each is fully en suite (hot & cold water) and has unrestricted view on to the ocean with a full length verandah.